not which keywords you as an expert think are most popular in a particular niche. higher ratios are the easier ones to optimize. be much wiser to start an AdWords campaign instead. low levels of competition and still end nowhere. be sure this will happen. results because the bounce rate for this particular keyword turned out to be very high. actually perform better than “Search Engine Optimization” did for us. it. These $20-50 on AdWords would have spared a year of wasted SEO efforts. get a lot of traffic, and still be unable to monetize this traffic because your CTR is low. reached the maximum CTR for your keywords. description for your page in order to maximize your organic search CTR as well. same keyword among the countries. target the geo-specific keywords with exceptionally good conversion rates. AdWords is a really valuable tool not only for advertisers. It started as a tool for advertisers but its use is not restricted to them alone. 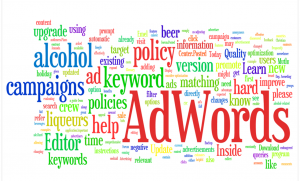 For many publishers and SEO experts AdWords is the most valuable tool because even a moderate AdWords campaigncan give you valuable insights and save you a lot of time and money to optimize forwords, which don’t work for you.